1. Giancane G, Alongi A, Ravelli A. Update on the pathogenesis and treatment of juvenile idiopathic arthritis. Curr Opin Rheumatol. 2017;29(5):523–529. doi: 10.1097/BOR.0000000000000417. 2. Юношеский артрит. Федеральные клинические рекомендации по ведению пациентов с юношеским артритом [интернет]. — М.: Союз педиатров России; 2017. Доступно по: http://www.pediatr-russia.ru/sites/default/files/file/kr_yua.pdf. Ссылка активна на 12.12.2018. 3. van Dijkhuizen EH, Wulffraat NM. Prediction of methotrexate efficacy and adverse events in patients with juvenile idiopathic arthritis: a systematic literature review. Pediatr Rheumatol Online J. 2014;12:51. doi:10.1186/1546-0096-12-51. 4. Костик М.М., Чикова И.А., Исупова Е.А., и соавт. Результаты лечения этанерцептом детей с несистемными вариантами ювенильного идиопатического артрита: достижение ремиссии, развитие обострений и нежелательных явлений. Ретроспективное когортное исследование // Вопросы современной педиатрии. — 2018. — Т. 17. — № 2. — С. 138–147. doi: 10.15690/vsp.v17i2.1880. 5. Vanoni F, Minoia F, Malattia C. Biologics in juvenile idiopathic arthritis: a narrative review. Eur J Pediatr. 2017;176:1147. doi: 10.1007/s00431-017-2960-6. 6. Lovell DJ, Giannini EH, Reiff A, et al. Etanercept in children with polyarticular juvenile rheumatoid arthritis.Pediatric rheumatology collaborative study group. N Engl J Med. 2000;342:763–769. doi: 10.1056/NEJM200003163421103. 7. Quartier P, Taupin P, Bourdeaut F, et al. Efficacy of etanercept for the treatment of juvenile idiopathic arthritis according to the onset type. Arthritis Rheum. 2003;48(4):1093–1101. doi: 10.1002/art.10885. 8. Davies R, Gaynor D, Hyrich KL, et al. Efficacy of biologic therapy across individual juvenile idiopathic arthritis subtypes: A systematic review. Semin Arthritis Rheum. 2017;46(5):584–593. doi: 10.1016/j.semarthrit.2016.10.008. 9. Geikowski T, Becker I, Horneff G, German BR. Predictors of response to etanercept in polyarticular-course juvenile idiopathic arthritis. Rheumatol (Oxford). 2014;53(7):1245–1249. doi: 10.1093/rheumatology/ket490. 10. Otten MH, Prince FH, Armbrust W, et al. Factors associated with treatment response to etanercept in juvenile idiopathic arthritis. JAMA. 2011;306(21):2340–2347. doi: 10.1001/jama.2011.1671. 11. Alexeeva E, Namazova-Baranova LS, Bzarova T, et al. Predictors of the response to etanercept in patients with juvenile idiopathic arthritis without systemic manifestations within 12 months: results of an open-label, prospective study conducted at the national scientific and practical center of children’s health, Russia. Pediatr Rheumatol Online J. 2017;15:51. doi: 10.1186/s12969-017-0178-9. 12. Solari N, Palmisani E, Consolaro A, et al. Factors associated with achievement of inactive disease in children with juvenile idiopathic arthritis treated with etanercept. J Rheumatol. 2013;40(2):192–200. oi: 10.3899/jrheum.120842. 13. Papsdorf V, Horneff G. Complete control of disease activity and remission induced by treatment with etanercept in juvenile idiopathic arthritis. Rheumatol (Oxford). 2011;50(1):214–221. doi: 10.1093/rheumatology/keq292. 14. Su Y, Yang YH, Treatment response to etanercept in methotrexate refractory juvenile idiopathic arthritis: an analysis of predictors and long-term outcomes. Clin Rheumatol. 2017;36(9):1997–2004. doi: 10.1007/s10067-017-3682-x. 15. Kearsley-Fleet L, Davies R, Lunt M, et al. Factors associated with improvement in disease activity following initiation of etanercept in children and young people with Juvenile Idiopathic Arthritis: results from the British Society for Paediatric and Adolescent Rheumatology Etanercept Cohort Study. Rheumatol (Oxford). 2016;55(5): 840–847. doi: 10.1093/rheumatology/kev434. 16. Wallace CA, Giannini EH, Spalding SJ, et al. Trial of early aggressive therapy in polyarticular juvenile idiopathic arthritis. Arthritis Rheum. 2012;64:2012–2021. doi: 10.1002/art.34343. 17. Tynjala P, Vahasalo P, Tarkiainen M, et al. Aggressive combination drug therapy in very early polyarticular juvenile idiopathic arthritis (ACUTEJIA): a multicentre randomised open-label clinical trial. Ann Rheum Dis. 2011;70(9):1605–1612. doi: 10.1136/ard.2010.143347. 18. Hissink Muller PC, Brinkman DM, Schonenberg D, et al. A comparison of three treatment strategies in recent onset non-systemic juvenile idiopathic arthritis: initial 3-months results of the BeSt for Kids-study. Pediatr Rheumatol Online J. 2017;15(1):11. doi: 10.1186/s12969-017-0138-4. 19. 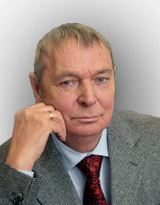 Алексеева Е.И., Бзарова Т.М., Валиева С.И., и соавт. Эффективность и безопасность лечения этанерцептом пациентов с ювенильным идиопатическим артритом без системных проявлений. Результаты открытого проспективного исследования на базе Научного центра здоровья детей (Москва) // Вопросы современной педиатрии. — 2016. — Т. 15. — № 5. — С. 471–480. doi: 10.15690/vsp.v15i5.1621. 20. Wallace CA, Giannini EH, Huang B, et al. ; Childhood Arthritis Rheumatology Research Alliance; Pediatric Rheumatology Collaborative Study Group; Paediatric Rheumatology International Trials Organisation. American College of Rheumatology provisional criteria for defining clinical inactive disease in select categories of juvenile idiopathic arthritis. Arthritis Care Res (Hoboken). 2011;63(7):929–936. doi: 10.1002/acr.20497. 21. Giannini EH, Ruperto N, Ravelli A, et al. Preliminary definition of improvement in juvenile arthritis. Arthritis Rheum. 1997;40(7): 1202–1209. doi: 10.1002/1529-0131(199707)40:73.0.co;2-r.
22. Petty RE, Southwood TR, Manners P, et al. International League of Associations for Rheumatology. International League of Associations for Rheumatology classification of juvenile idiopathic arthritis: second revision, Edmonton, 2001. J Rheumatol. 2004;31(2):390–392. 23. Swart JF, van Dijkhuizen EH, Wulffraat NM, de Roock S. Clinical Juvenile Arthritis Disease Activity Score proves to be a useful tool in treat-to-target therapy in juvenile idiopathic arthritis. Ann Rheum Dis. 2018;77(3):336–342. doi: 10.1136/annrheumdis-2017-212104. 24. Ringold S, Weiss PF, Beukelman T, et al. 2013 Update of the 2011 American College of Rheumatology recommendations for the treatment of juvenile idiopathic arthritis: recommendations for the medical therapy of children with systemic juvenile idiopathic arthritis and tuberculosis screening among children receiving biologic medications. Arthritis Rheum. 2013;65(10):2499–2512. doi:10.1002/art.38092. 25. Martini A. It is time to rethink juvenile idiopathic arthritis classification and nomenclature. Ann Rheum Dis. 2012;71: 1437–1439. doi: 10.1136/annrheumdis-2012-201388. 26. Ravelli A, Consolaro A, Horneff G, et al. Treating juvenile idiopathic arthritis to target: recommendations of an international task force. Ann Rheum Dis. 2018;77(6):819–828. doi: 10.1136/annrheumdis-2018-21303.